This is the one game both of my kids (6 and 9) almost always want to play. They’re sometimes finicky when it comes to games, cycling through short phases of what they like, but Sleeping Queens is fun, fast, and silly enough to keep them coming back. And hey – any game featuring “The Pancake Queen” is worth a try. 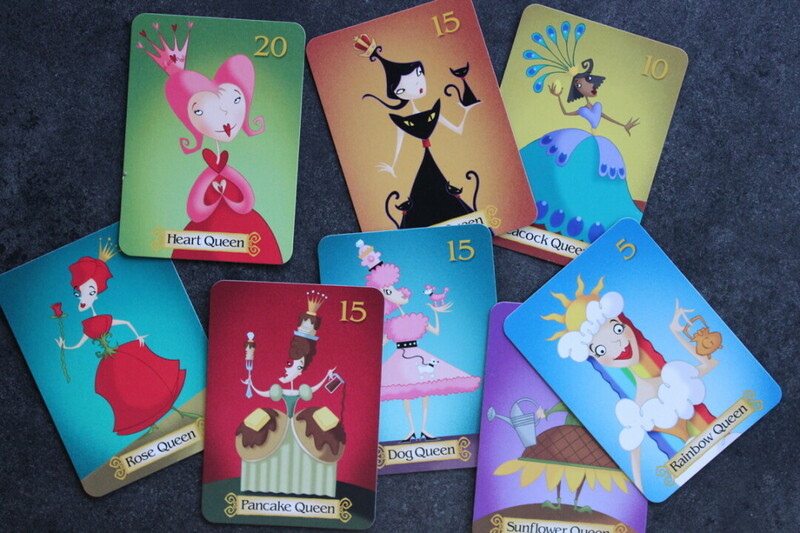 In this fantastically illustrated card game, players use strategy, quick thinking, and a little luck to “wake up” the 12 quirky queen cards lying face down on the table. On a turn, you play a card from your hand to complete an action: Play a king to awaken and claim a sleeping queen, play a knight to steal someone else’s queen (unless she has a dragon for protection), play a wand to send another player’s queen back to sleep (unless she has an antidote), use a jester to maybe “win” a queen, or discard a number of cards to draw new ones. Each queen card has a point value on it, and a player wins when he or she either claims enough queens or enough points. Some queen cards feature (optional) specialty rules to keep things exciting. Great for family gatherings, Sleeping Queens is made for two to five players, and the more people you deal in, the goofier things get.